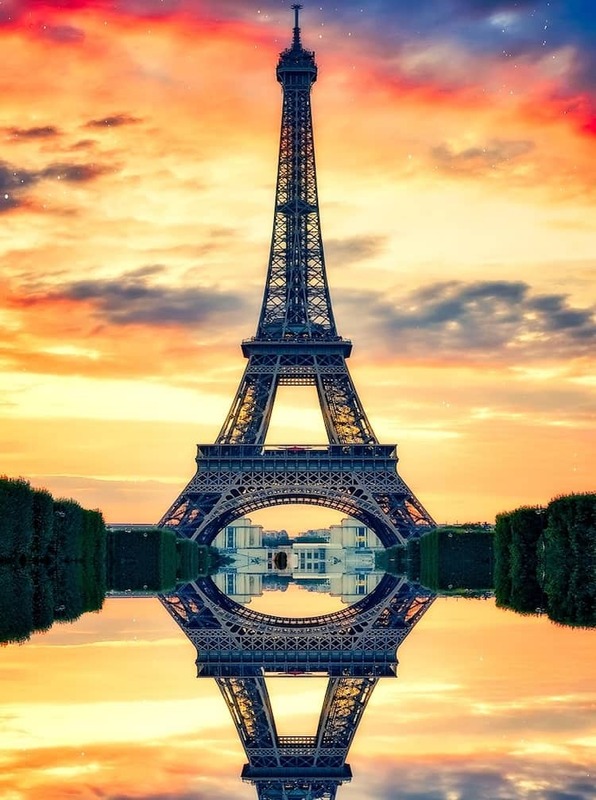 As long as the lights aren’t on, photographers can capture stunning images of Paris’ Eiffel Tower. As a photographer, it’s always important to understand copyright laws in whatever country you’re photographing. For instance, most people know that you’ll need a model release if you intend on publishing images of people for commercial or editorial purposes. But what if you want to photograph, or simply use imagery of, a famous monument—one that’s outdoors in public space? This is where things can get tricky. Half as Interesting has published a great video that gives a quick crash course on public domain, copyright law, and what you can safely photograph, using the Eiffel Tower as its lead example. Wait… does this mean you can’t photograph the Eiffel Tower? Not exactly, but it all depends on what time of day you are shooting the photograph. In the European Union, copyright law states that an artistic work—whether a song, painting, photo, video, or building—is covered for the lifetime of its creator, plus 70 years. This is all well and good, but what if a copyrighted building is right in the middle of a beautiful skyline? Most countries adhere to a “freedom of panorama” law, which means that the shot is ok, as long as the copyrighted piece is not the main focal point of the image. However, a loophole in the EU law allows member countries to opt out of freedom of panorama, and unfortunately, France is one of those countries. Italy is another country that’s also opted out, meaning you aren’t able to include more contemporary buildings like Renzo Piano’s Auditorium complex, in your images. In the case of the Eiffel Tower, whose creator died in 1923, the structure fell out of copyright in 1993. This is why the Paris Las Vegas hotel, which opened in 1999, was able to construct a model of the Eiffel Tower in front of their building. But, photographs of the Eiffel Tower lit up at night are a different story. The twinkling lights, a romantic icon of Paris, were installed in 1985 and are considered a separate work of art in their own right. This means you’ll be waiting a long time until you can safely, under copyright law, photograph the Eiffel Tower at night. And while taking the picture for personal use is acceptable, sharing it is what will most likely get you in hot water—though the copyright holder rarely makes a claim on non-commercial usage. Technically, any images of the Eiffel Tower at night must obtain permission from the copyright holder—in this case, the Société d’Exploitation de la Tour Eiffel. And yes, that means even sharing on social media. What other sites can land you in hot water? Christ the Redeemer in Rio de Janeiro, Grauman’s Chinese Theater in Los Angeles, Radio City Music Hall in New York City, and St. Peter’s Basilica in Rome are just some other famous sites that have copyright restrictions based around commercial and/or editorial usage. Getty Images’ Intellectual Property Wiki is a great resource to see what usages are possible for sites around the world. And while you are at it, it’s also a good idea to brush up on drone laws. In 2016, several tourists were heavily fined for flying drones over the Colosseum in Rome. Get a crash course in copyright restriction around the world and learn why you can’t photograph the Eiffel Tower at night. Photographer Shows How to Break 50 of the Strangest Laws Across the U.S. The post Copyright Laws Make Photographs of the Eiffel Tower at Night Illegal appeared first on My Modern Met.